An idea as simple as that can really make your dining room beautiful. Plus, getting both curtains and a carpet is usually an inexpensive solution that can give a fresh spin to your room. Another relatively inexpensive idea — especially, if you take your time to look. A couple of new pendant lights above the dining set will give a your dining room a cosier look, inviting you and your family to linger longer at the table. If your dining room is quite spacious, you might want to get a couple of stylish floor lamps to make the environment cosier. In a small room, though, you might have to limit yourself to table lamps mostly. If you have some time and do not mind applying a bit of effort, repaint your dining room walls. Wallpaper, too, is back in trend right now — so, you might want to think on this one, too. If you decide to stick to paint, it is also possible to repaint only one of your dining room walls. One bright wall in the room is a very contemporary, memorable solution that also makes the room seem a little deeper. A couple of new canvases on the walls can also make a difference in your dining room interior, making it more stylish and beautiful. Going with your own photos rather than ready made art is more inexpensive and it really gives the interior a personal touch. Live plants are another great and inexpensive way to make your dining room beautiful, giving it a fresher and greener look. A similar alternative would be to regularly change your flower arrangements. This is an amazing idea that will give your dining room a slightly new look every week or so. Sometimes, a new sideboard or a compact buffet server can make a huge difference in an already designed dining room, giving your interior a complete look. Plus, it is always possible to find models that are both stylish and affordable — especially, if you shop in the big stores. For more ideas on how you can make your dining room more beautiful without blowing the budget, take a look at this article. It might prove even more beneficial, offering you some really sleek and stylish ideas. 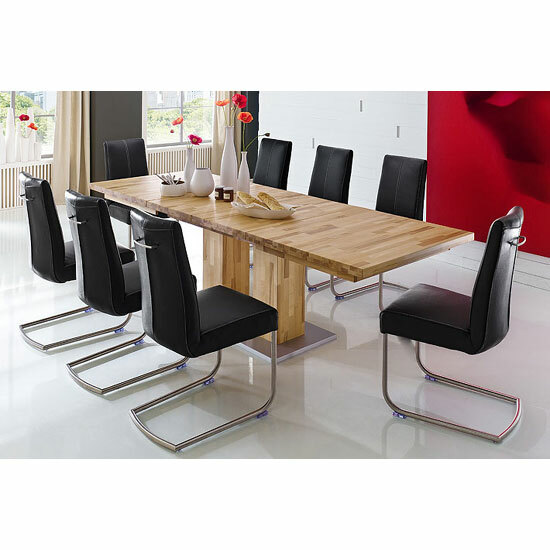 Dining Table Shapes – Which One Is Suitable For You?